The UK has committed to protect 30% of the ocean. Protection must put the conservation of nature at its heart. The UK should demonstrate its international leadership via establishing ambitious protection around uninhabited islands and supporting other Overseas Territory Governments. The UK Government has committed to establishing a “Blue Belt” of over 4 million square kilometres of marine protected areas around the British Indian Ocean Territory, South Georgia and the South Sandwich Islands, British Antarctic Territory, Pitcairn Islands, Saint Helena, Ascension Island and Tristan da Cunha. We are a coalition of six conservation charities, working together as the Great British Oceans coalition. We work with the UK Government and support Territory communities to protect these remarkable marine environments. Ascension’s waters harbour the second-largest green turtle breeding population in the Atlantic, a unique frigatebird species and some of the largest recorded Atlantic blue marlin. Saint Helena Whale sharks, the largest fish in the ocean, are recorded in high numbers around Saint Helena. There is also much to learn about the seamounts (underwater mountains) and inshore rocky reefs around Saint Helena. Tristan da Cunha Tristan da Cunha is the world’s most remote inhabited island and in its vast and near pristine marine zone the warm waters of the South Atlantic meet colder waters from the south. South Georgia and the South Sandwich Islands (SGSSI) SGSSI harbours a quarter of the world’s penguins and breeding colonies of several species of albatross, along with Antarctic fur seals and southern elephant seals. Whale species include southern right, sei, fin, humpback, minke, blue and sperm whales. Pitcairn Islands Pitcairn has one of the largest exclusive economic zones in the world. Within these waters lies one of the planet’s best-preserved ecosystems—a complex community of hard and soft corals that are home to hundreds of species of fish. British Indian Ocean Territory (BIOT) BIOT contains the largest living coral atoll anywhere on earth – the Great Chagos Bank, one of the few increasing breeding seabird colonies in the region and eight times more reef fish biomass than anywhere else in the Indian Ocean. British Antarctic Territory The Antarctic Ocean is a thriving ocean where whales, seals and penguins live and raise their young. Despite being uninhabited, this icy wilderness is threatened by climate change and fishing pressures. Over 94% of the UK’s unique biodiversity lives in the UK Overseas Territories. These 14 Territories support a large number of rare and threatened species and habitats found nowhere else on Earth, including breeding grounds for endangered turtles, a third of the world’s albatrosses, a quarter of the world’s penguins and the world’s largest coral atoll. The 14 Territories are also home to 250,000 British nationals, who are best placed to decide how to manage their own marine environments. These campaign asks are supported by UK MPs from eight political parties and over 50 prominent scientists, businesses, universities and NGOs. Please ask your Member of Parliament to back our campaign to protect 4 million square kilometres of ocean. The UK Government announced a commitment to provide long term protection of over four million square kilometres of marine environment across the UK Overseas Territories. Unanimous support from the Pitcairn Island community led to the designation of the Pitcairn Islands Marine Reserve, fully protecting 834,000km². Over 280 UK MPs have pledged their support to the Blue Belt Charter and agreed to #BackTheBlueBelt. Richard Benyon MP authored Blue Belt 2.0: British Global Leadership in Ocean Conservation 2017-2022. 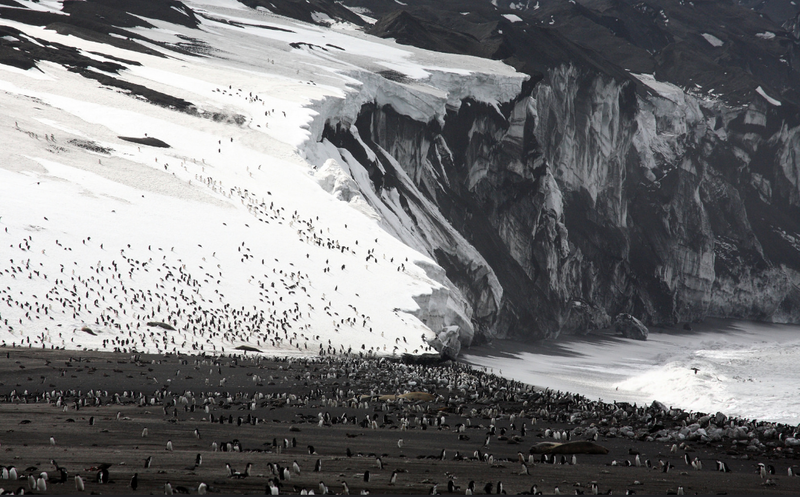 We are urging the UK to fully protect waters around the South Sandwich Islands (from only 2% of the 530,000 km² exclusive economic zone). Ascension Islanders have the opportunity to fully protect at least 50% of their 440,000 km² exclusive economic zone. Tristan da Cunha community has the opportunity to establish their own regime for protecting the waters of their entire 754,000 km² exclusive economic zone. St Helena will revise their marine management plan and can permanently declare their waters restricted to ‘one by one only’ commercial tuna fishing. A commitment to continued financial support for surveillance and enforcement of the Blue Belt MPAs is essential. Funding currently expires in March 2020 and funding should be extended until the end of this parliament in 2022. Together as the Great British Oceans coalition our six organisations represent over two million members. We work with partners in the UK Overseas Territories to enhance marine conservation in these exceptional places. Our combined voice helps raise public awareness of the need for ambitious international marine protection if we are to save the global ocean from ecosystem collapse.